This post is in direct response to a request by C40 (Link at the bottom), and generally covers our new World Change. Thank you C40 for your questions about the Chinese and regarding what is going on in our World as well. This is going to be an overview of what has happened and what to expect in the coming days, months, and years. 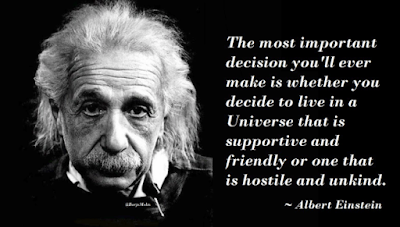 "The most important decision you'll ever make, is whether you decide to live in a Universe that is supportive and friendly, or one that is hostile and unkind." Notice that there are two important words in that quote that say it all: "Decision" and "Decide." That is where we are in this process. It does not say "Figure Out," or "Listen to what others are saying in print or on a video." It says for YOU to DECIDE if this change really happening or not? At this point, if you think that this World is still in Cabal Control, and that they still have power of any amount, then I have nothing for you here. You might as well just stop reading this, right here. However, if YOU have DECIDED that the good guys have won, and that we are in the changeover right now, then read on, because I will give you plenty to support that point of view. The big picture overview is that the Cabal World ran out of money, power and control. One of the first things to be taken from them was the military. In the beginning, is was split, but there was a "Come to Jesus" meeting in which they were told that Paul Ryan was the Commander in Chief, as president of the Republic, and that they had to make a choice, get on board or face the consequences. I don't know how many made the "Wrong decision" and were dealt with, but I do know that 100% of our Military are now Republic Good Guys, and ready to Kick Cabal behind. Then after the Military had been secured, they began cutting off the Cabal money streams, and the first to go was the Drug Trade Money. They went into Afghanistan, and in other places, and shut down American Bases that were actually being used to fly drugs all over the World. That put a big dent in the Cabal money supply. With the power of the Military on the good guy's side, they could easily shut down the sources of Cabal money. Then they began to crack down on Money Laundering in the big banks and that shut down even more of their money supplies. The good guys have now completely taken over the Entire Financial system Worldwide. All banking MUST be Basel III compliant if not more. That MANDATES EXTREME ACCOUNTING AND REPORTING. That MEANS NO FUNNY BUSINESS. The money is tracked 40 moves one way or the other. No More SWIFT, no more Cabal owned or controlled Banks, nada. This was a huge blow to the Cabal system and makes it hard to pay any minions to do anything. Interestingly, I have heard stories from well connected people, who tell about Minions wanting to get their back pay, and it is not coming. Additionally and VERY Importantly, the Money will no longer be printed or controlled by the Federal Reserve, or any other "Like" Cabal money central bank in the World. Ours will now be Gold Backed, controlled by our Treasury, and totally incorruptible. That is to say it is stable because its value is based on a formula of backing assets and cannot be changed. BUT, this change is not just us, it is the "Same Change" all over the World. 100% of the World. That brings us to politics, and the focus of your questions C40. What you need to realize is that NOT ONE COUNTRY IN THIS WORLD will get any money, unless their Governmental structure is GESARA compliant. They have ALL signed and agreed to this change over. THEY WILL ALL COMPLY, 100%, NO IFS AND OR BUTS. PERIOD. Here is a tip: GESARA/NESARA is a NOT A CABAL governmental structure. Your issue is about how things "look" right now, in China, or frankly anywhere for that matter. However, it is NOT WHAT IT SEEMS, far from it. Take a look at our Government for example. It "LOOKS and SEEMS" Cabal 100%, and it is... sort of. At least it is what a Cabal Government used to look like. But is has been gutted and a fully formed, NESARA compliant, Republic Government is secretly waiting to take over "Publicly." However, if anybody else in the World looked at our Government they might be saying the same thing you are saying about China "Look at them, they are Cabal controlled and dangerous." But is that true? No, of course not. But that has not been revealed to the World yet. "The Ukrainian/Russian Minsk Agreement has been signed, and just awaiting public acknowledgement which will demand the release of all satellite territory demanding sovereignty as well as elections and constitutional changes. The Ukrainian/IMF $1 billion loan released today to given to a hidden government already in place. There are similar hidden governments already seated in both Israel and Germany as well--and all four (including the USA) are ready to move on from this insane and now clearly desperate Zionist nightmare." So, not only do we have a secret "Hidden Government" about to be unveiled, so do the Ukrainian, Israel, and Germany. This means that anyone looking at these places thinking that they are Cabal, have no idea what is really going on either. The take away point about the Governments of the World, is that they ALL WILL BE 100% GESARA Compliant, and there will be no exceptions. Some are there right now, others like ourselves have secret GESARA compliant Governments ready to jump into action, and the rest are changing right before our eyes whether we can see it or not. Laws are ready to pass, people are ready to resign, etc. One of the biggest "Plays" the good guys have is the Deception. The Cabal used it, why shouldn't we? As bad as Obama looked, and still "looks" in the media and all we read, it turns out he is on our side. You are going to have to get over it, just as I did. The same thing with Paul Ryan, as he too, is a top notch, 100% good guy, leader of the Republic. I don’t care what you read or hear, it is ALL "Game Play" and deception. Do you really think that a "Lilly-White Good Guy" would be able to get that high up in our CABAL government? No, of course not. He would never have made it or would have been killed a long time ago. So, just like you see on TV Crime stories, there is a "Back Story" created, and the Cabal Bought It, Hook, Line and sinker! If you don't believe this, it only means that you bought the same Deception that was fed to the Cabal. No worries though, it was believable as it had to be, the World's Survival depended on it. So, the answer to your worry about Cabal anything in the World, has no basis. I agree that it sure can look that way. The good guys are VERY GOOD at what they do. They have tricked the Cabal time and time again and now it is all over for them. I can understand how you might believe what you are seeing and reading, because it was so good that it worked on the Cabal. Again, you have to "DECIDE" to believe that we are winning, and the Cabal have lost. "Namaste! We are your Ascended Masters. On this day we are filled with joy for the way our sacred secret societies are swiftly allowing the Light to achieve its greatest victory. This present set of wonders is due to thespecial trap that was laid to make the dark cabal believe that it was winning. In fact, the heinous governance became, for us, a continuing sting operation to expose their utter fiction about the survival of USA, Inc. This ongoing sting operation is to provide the evidence required to arrest and isolate the entirety of the cabal and its grand levels of minions. " In this quote, EVEN the CABAL thought they were winning. It is no wonder you did as well. But, it was a trap, and the Cabal fell for it, and it is over for them as a result. The bottom line is that I have hardly covered the amazing amount of changes that have occurred in this Cabal take down. I don't care what any country's government looks like, seems like, or what anybody else says about it, we have won. Hidden governments are in place, planned resignations are set, agreements have already been signed and executed, and we simply await its revelation to the Public, and that includes us. People who you "Think" are the Bad guys, are really the "good guys. This includes Grandfather's son Chinese President Xi Jinping, President of the Republic Paul Ryan, and former President Obama. Remember the last dominoes to fall, the last people to get arrested, the last people to resign, the last laws to be made public are the ones that reveal the New World of GESARA. It is no issue that you were taken in on the ruse, but it was a necessary "Play" to trap and corner the Cabal. All that being said, things are so good, so perfect, so wonderful, you can't even imagine right now.... But, soon you will not only see it, you will "Feel" the Reality of it as well.